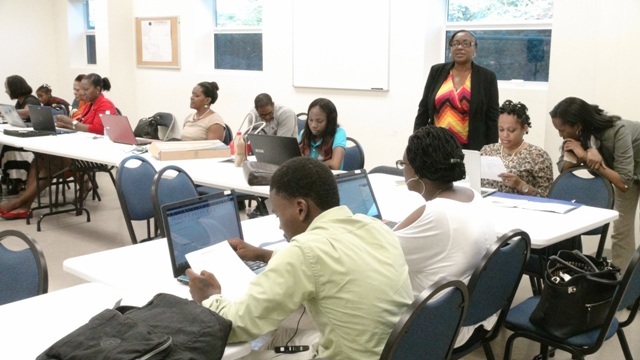 NIA CHARLESTOWN NEVIS (OCTOBER 27, 2015) — Permanent Secretary in the Ministry of Finance Colin Dore, called on 13 graduates of a Nevis Island Administration (NIA)-funded management accounting systems training workshop, to invest in the appropriate infrastructure that would help them to better manage and grow their businesses. 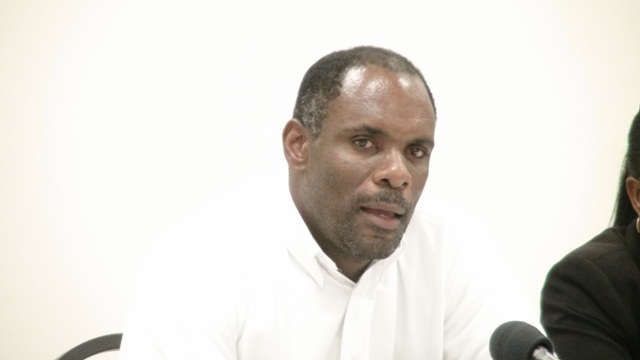 Dore, made the comment when he delivered brief remarks at the end of a two-week workshop on Quick Books Accounting at the Nevis Disaster Management Department’s conference room at Long Point on October 23, 2015. The training session commenced on October 12, 2015 was hosted by the Small Enterprise Development Unit (SEDU). “We want to urge you, when you leave here, please make the necessary investment in infrastructure in your organisations. Those of you who do not have computer systems, please invest in computer systems. They are not very expensive. “Invest in the necessary software because what I would want is, when the officers from SEDU come out to your organisation we have to be able to assess where you are. If you need help with whatever transaction, they will always be on hand to help you but of course they can only help you if you have the system in place,” he said. The Permanent Secretary told the participants that the ministry and SEDU do not want them to revert to a manual system. He said they had graduated and he urged them to rise to the challenge of full computerisation of their businesses. He also urged them to utilise the financial reports properly, he said, adding that the document which would be at their fingertips, would provide critical information concerning their revenue, expenditure and inventory on a day-to-day basis to help them properly manage and turn their organisations around. Dore said the ministry and SEDU are firmly of the view that if owners are to manage their businesses, they must have full control over the financial aspect and that was the reason behind the move to train small business owners on the island. He noted that instead of providing funding to start up small businesses without the necessary follow-up, they are ensuring clients get the necessary support systems in place. According to Dore, that level of support is necessary because in the end, the small businesses would be able to turn their businesses from micro organisations into small ones and move on to much larger organisations. To date, a total of 28 small businesses have benefited from the training enabling them to maintain good financial records. In April, 2015, the first training in Quick Books Accounting commenced with 15 participants. It was funded by the Caribbean Development Bank, through its small business arm, Caribbean Technological Consultancy Services (CTCS). Mr. Dore also used the opportunity to thank the training facilitator Alexa Pemberton.